Looking for a return to the source? A green setting? Come discover Rodrigues differently! Put yourself on the rhythm of the island and enjoy the tranquility and the unobstructed view of Port South East and the island of Hermitage. Our house of charm of 100m ² located on a very large ground sported (with games for children), on the heights of the island will not leave you indifferent. Thought to adapt best to the topography and climate, it will offer you the maximum comfort. Our house is ideal for families, it has a terrace with open views of the South East Harbor, 3 double bedrooms (with ceiling fan and storage) and a mezzanine (with single beds). A fireplace for winter evenings and all the necessary equipment for babies. Enjoy fruit trees from the garden for your cocktails or to garnish your plates. 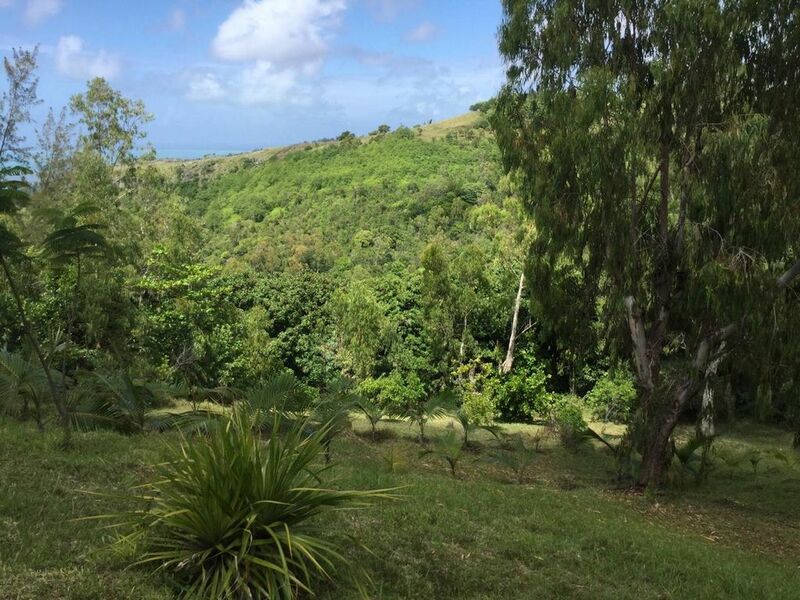 Our haven of peace is the privileged place to reconnect with nature, and enjoy the many hikes on the island. Near the Cathedral of Saint Gabriel, we are at the end of a path (accessible by 4X4). The price includes 2hrs of cleaning per day (except Sundays and public holidays), as well as household linen (including bath and beach towels), dishes, and all the necessary equipment. On request (and with extra charge), we organize airport transfers, and can offer you the first local meal or a basket with some staple foods (rice, milk, eggs, vegetables ...).